i went shopping for a winter coat yesterday and found a goldmine. zara literally has hundreds of amazing coats. i want all of them. considering that i'm only going to have a few months of winter this year, i have limited myself to buying only one new jacket. i am so sick of all of my old coats i didn't even bring any, but i will probably have to have my mother-in-law ship me one or two, i'm gonna need more than one coat. there are three main contenders that i found at zara. they are all the same color scheme, a greenish/brown with black accents. they are also super warm. i have never had a really warm coat, they have all been california warm. i'm thinking i'm going to need something pretty heavy duty, especially because we are going on a road trip of the northwest in december. it's going to be freezing but so much fun! i love the leather sleeves. also, this coat has a removable fur lining so i can make it warmer or colder depending on what i want. the price is pretty reasonable when compared to other coats that are similar. i think this coat looks very chic, but casual enough for every day. i love the leather trim, gold hardware, and quilted sleeves. 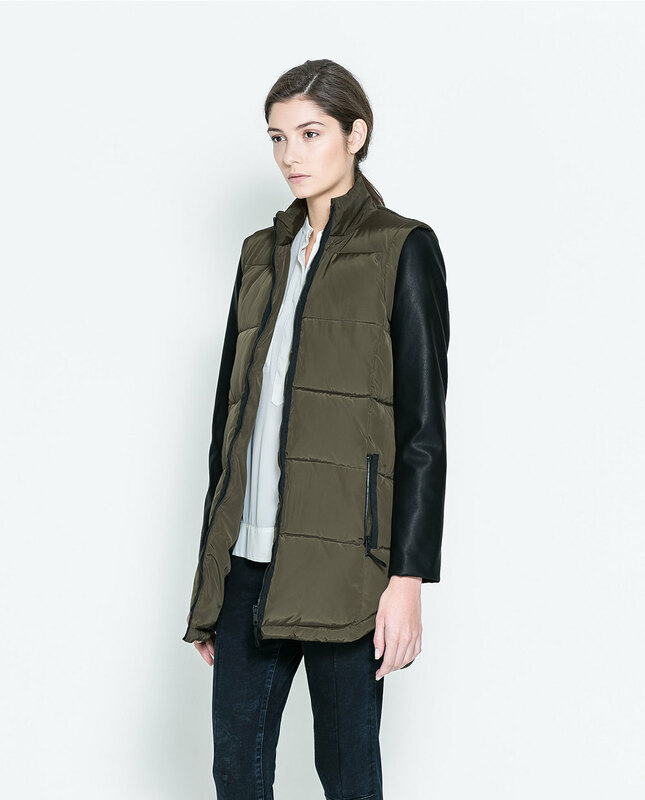 this coat also has a removable liner, so convenient! i love the leather sleeves and puffy coziness of this coat. it would probably be the most comfortable. it is a little cheaper than the other two. my one reservation is the bag of the coat- it is a knit fabric which i think i a little weird, but i'm willing to get past it. So which one do you think i should get? Cast your vote!